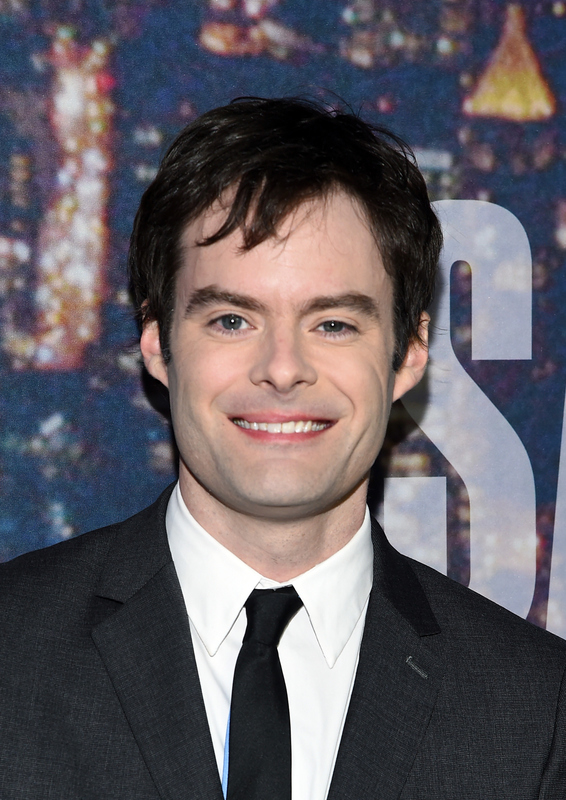 Bill Hader is having an incredible summer. He starred in two of the biggest films: In Inside Out as Fear, and in Trainwreck as Dr. Aaron Connors, the latter being his first run at playing the romantic lead. He was so charming and adorable in Trainwreck that it was hard not to fall in love with him. Since the movie came out last month, I was wondering what he was going to do next. In addition to his IFC miniseries Documentary Now!, news broke today that Bill Hader will appear on Brooklyn Nine-Nine as the new captain of the precinct. At the end of last season, Andre Braugher's Captain Holt took a job in the Public Relations department of the NYPD, but will still be on the show. Hader's character is described only as "efficient." It is unclear whether Hader's character will be recurring, but TheWrap reports that it won't be permanent. This casting news is exciting because it will not only bring Hader onto our TV and computer screens this fall, but it will also reunite Hader with his SNL castmate and friend, Andy Samberg, who stars on the show. Hader and Samberg both joined SNL in 2005 as featured players, and created comedy together for years. Here are some of their best collaborative moments that will get you even more psyched for Hader on Brooklyn Nine-Nine. Look at these babies on their first episode! Hader shows off his treasure trove of impressions, and Samberg struggles to keep up. When he hosted SNL last season, Samberg used his monologue as an opportunity to try and beat Hader's record for most impressions on the show. He matches Hader, but then Hader himself appears to defend his title. In this Digital Short, Samberg and Hader are two bros at a party, with literally some of the craziest characters. "Laser Cats — The Musical"
Hader and Samberg's Nitro and Admiral Spaceship have teamed up against Elton's Evil Droz to save the galaxy. They're especially cute in their "Sneakin' into the Concert" number. Check out them big, sloppy kisses. The added cuteness of Paul Rudd makes this one a particularly memorable sketch. This is not a well-written sketch by any means, but the fact that they keep laughing makes it so adorable. Look at Hader, so clearly unable to keep it together. It's a good thing that Brooklyn Nine-Nine isn't live TV, so he'll be able to do other takes. This iconic sketch is hilarious, despite the fact that The O.C. Season 2 finale that it parodies was so long ago. Here's hoping that Hader and Samberg don't shoot each other on Brooklyn Nine-Nine, even though, as cops, they'll have guns handy. As a Hader and Samberg fan, I know I'll be spending the rest of my summer to re-watching Brooklyn Nine-Nine in anticipation of Hader's arrival.